Today we are getting organized. Or at least I am getting organized. Or, well, I’m trying. You see, my DIY supplies are all over the place…a few boxes in the family room, a bunch of stuff on a shelf in the dining room, and a few more boxes in a bedroom. And none of it is organized. So when I need something, I end up looking in at least three different places. Then there are those occasions when I casually place my tape measure in some random spot and then spend two hours looking for it. Ugh. So I finally decided to give myself a kick in the rear and get my stuff all organized in one place. 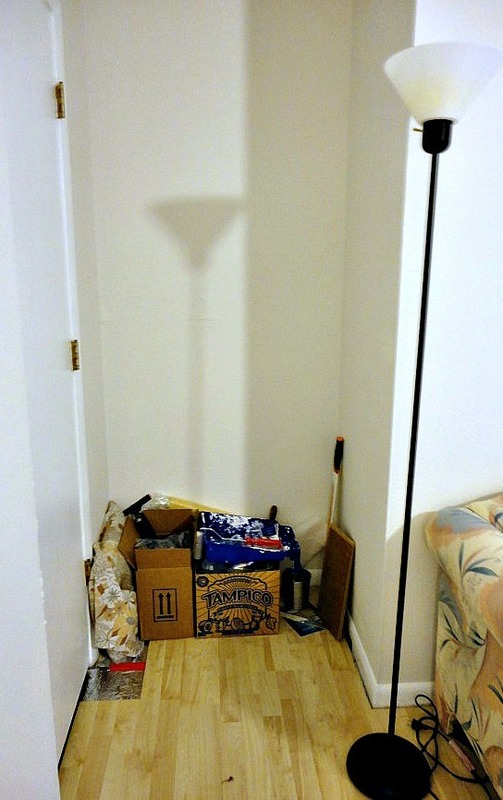 I picked this sad little corner in the family room where some of my boxes already lived. Notice the silver underlayment in the lower left hand corner. I have to guiltily admit that I haven’t quite finished the job of laying the floor, which I started months ago. Most of it is done, except the areas around some doors. Here’s another admission: I hate doing the areas around the door jambs. It’s kind of tricky, at least for me. So there’s a bunch of unfinished door areas of floor around a bunch of different door jambs. When I finished reviving this storage space, it looked so nice, except for the unfinished floor. So I was motivated to go back and finish it…finally! You’ll see the finished floor section in my after pictures. But you will also notice that…oops…I still need to add the quarter-round molding along the floor moldings. I keep telling myself I’ll do it as soon as all the door jambs are done. I guess we can all see how far that’s gotten me. So for now, let’s just pretend I didn’t even bring that up. 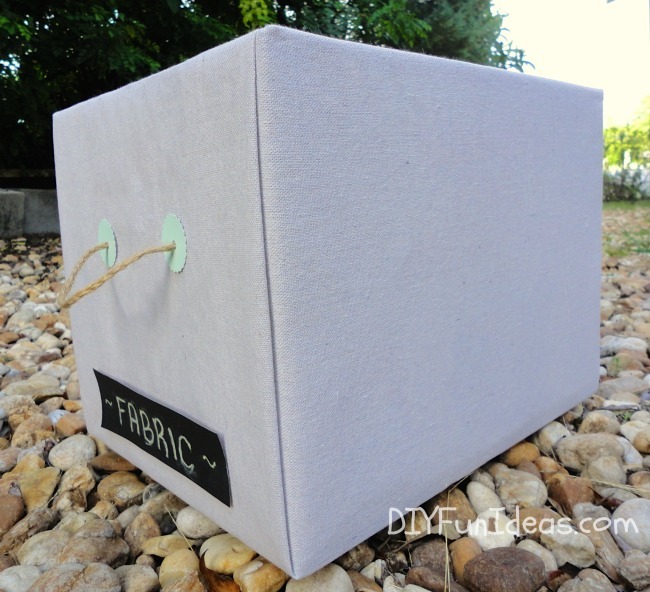 Instead, let’s talk DIY fabric covered storage boxes. My fabric storage boxes cost me zero dollars! Yay, can’t beat free. So I used a hot glue gun to cover the boxes with the drop cloth. The handles are made of twine that I had in one of my piles. I braided the twine to make it thicker. 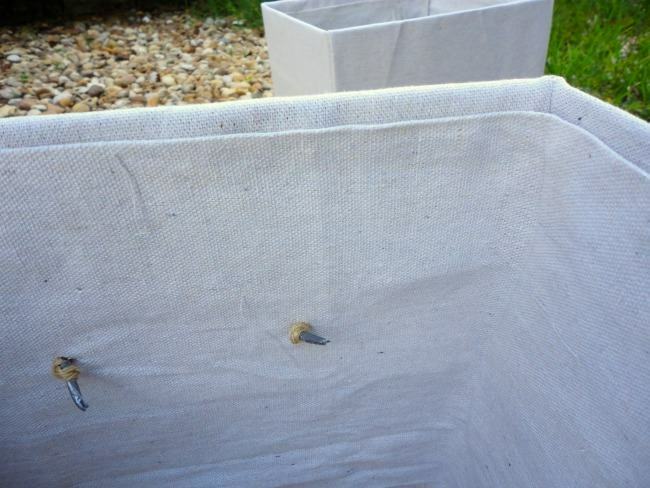 Then punched holes through the boxes, pushed the twine through, and knotted the twine on the inside. You can see that I also lined the inside of the boxes. For the box labels, I painted the panel of a cereal box with chalkboard paint that I had left over from my DIY chalkboard project. Then I cut the painted panel into strips and adhered them to the boxes and labeled each box. My parents had an old shelf that wasn’t being used and it was the perfect size to fit into the little corner where I had all my junk. Check it out! Much better, don’t you think? And notice my finished floor (sans the quarter round which will be put in…eventually). 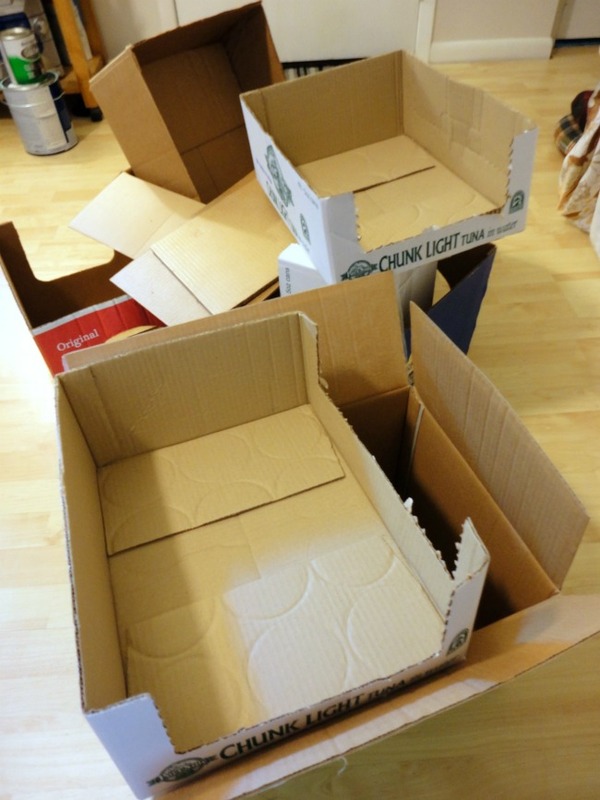 If I were to do it again, the one thing I would do differently is that I’d cut down the boxes to the same height so that they looked more uniform. But overall, I’m pretty happy with my updated corner. I’m thinking I may even make some fabric covered lids for the boxes so they look even more tidy. I’m also thinking of painting some designs on the boxes. Perhaps a light blue chevron pattern would give the boxes a bit more interest. I haven’t quite decided yet. 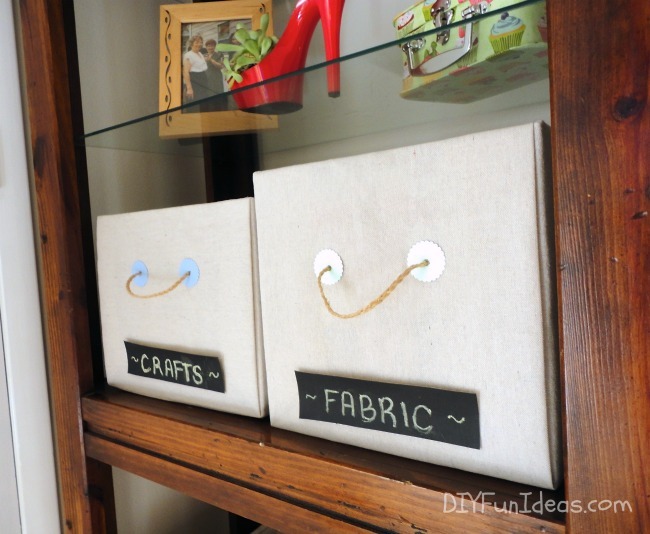 So there you have it: super easy and cheap DIY storage using fabric covered boxes. Thank you so much for stopping by and I hope I’ve inspired you to make something fabulous! And don’t forget to sign up for email alerts so you never miss a fun DIY! This is BRILLIANT! What a great use of drop cloths!! Thanks so much for linking this to Grace at Home. Have a great week! Thank you so much Richella. 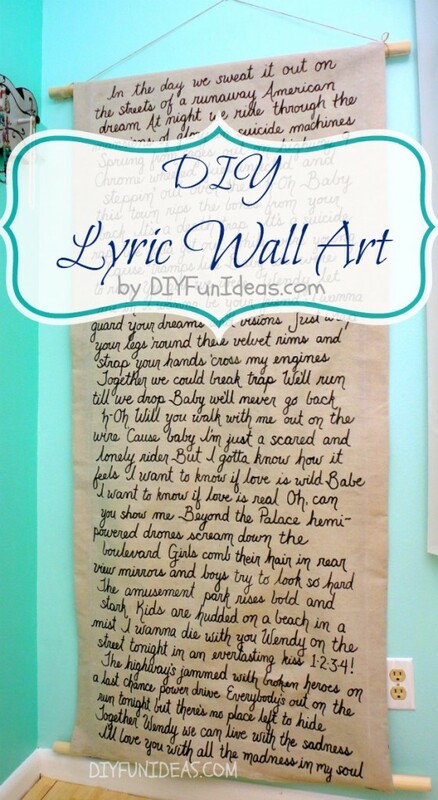 And thank you again for featuring my Song Lyric Wall Art this week! Love this! I have a few boxes hanging around here too! I love your idea of braiding the twine to make it thicker! Thank you Jayaleen! I kinda stuck with a neutral, but you can also try using some colorful fabric to complement you decor. Thanks so much Candy. Yep, those store-bought boxes are expensive. It really gets me how much they charge for something that’s so easy to make. I had all the materials on hand so it cost me nothing. And part of the beauty of making your own is that you can select any color or print fabric to go with your own decor. This is one of those projects that I must do. It would be a great way to use up some of those diaper boxes I have sitting around and organize my kids junk. I hope to see you over at the link party today! Thank you Lorraine! I hope you’re more daring than I am and pick some fun colors! What a fun idea! They look so nice, you would never know that they were just cardboard boxed. I am pinning this NOW…I need to organize my stuff too. Thank you Kim! And the heavy canvas material also fools you into thinking they’re something more expensive. I honestly would have never thought to cover that mess of boxes in dropcloths! Thank you Jen! And I love your barn doors. The color you picked is fabulous. And can’t wait to see the clock makeover! Such a great idea. I can’t wait to try making some of my own. I could really use some more storage. Thanks for sharing. Pinning to remember. The fabric really dresses up the boxes – and I like the rope handles, too. Great idea. Thanks for the tutorial. I have been wanting to cover some boxes for my sewing room! Thanks for sharing. You are so welcome Sherry! A fun idea for the sewing room would be doing a patch-work fabric cover with your scraps. This is one project I could never get tired of doing!! 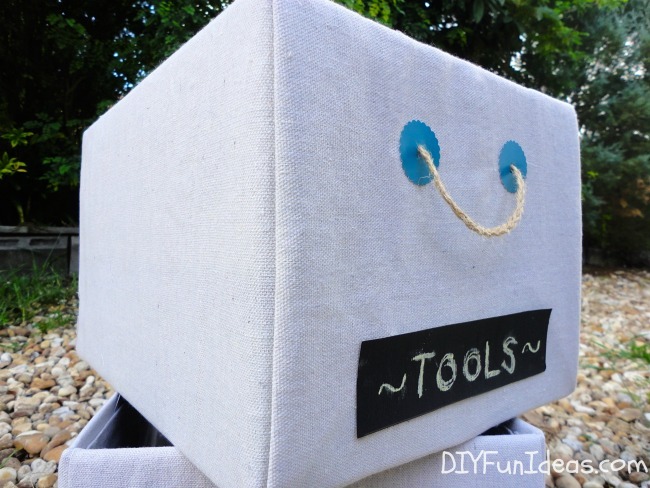 Love DIY’ing storage boxes! Yours turned out lovely and waaaay neater than mine! Are you kidding Selene! I love the chevron pattern on yours versus my plain ones. But thank you. totally awesome upcycle/recycle job here! It would have never occurred to me to cover those boxes and you did a bang up job, above and beyond! I think they are fine different sizes, gives more interest :) Thanks for sharing with us! Very impressive. I have been meaning to make such boxes myself but somehow, could not get to it. I like it the way they are… but I am sure, some designs on it would only make it look more beautiful. Do share the pictures, if you upgrade. What a great makeover on something that was free! Love it! Thank you Dominique. Definitely can’t beat free! Thank you for sharing this post at City of Creative Dream’s City of Links last Friday! I loved this post so much that I chose it to be featured for this weeks party. :) Go grab a button you deserve it! Oh my goodness, that’s so exciting! I am honored to be featured!! Just the idea I need for a tiny, storage lacking bathroom! I’m putting a storage shelf over the door and want to put some baskets or boxes on it to put excess things like extra TP, towels, etc. Now I know what I will do, thanks to you. And I can cover them with a cloth that goes with my color scheme, too. 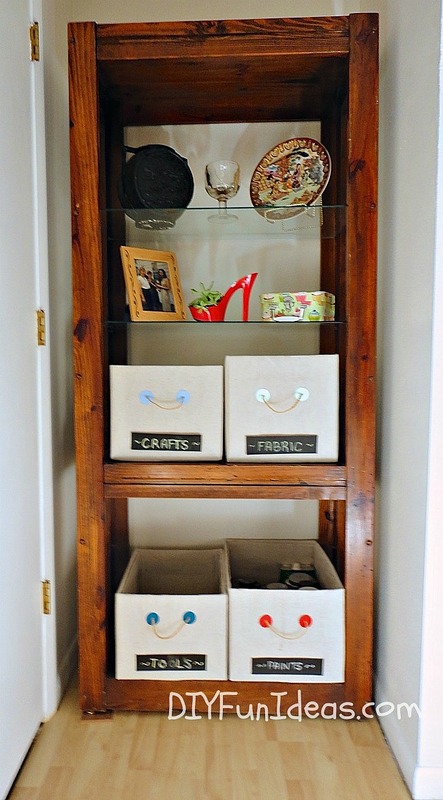 The little handle idea is great for me, too, as that makes it easier to get the boxes down from over the door. Thanks! Thanks Bonny. I’m so glad it works for you! I love hearing that one of my projects has helped someone else solve a problem. I hope your bathroom storage turns out totally fab! What a wonderful idea!! I need to make these! Thanks so much Jennie! And thank you for the invite. I love finding new wonderful blogs to follow! I can’t figure out how you did the ends — it’s not wrapped like a package with the ends folded in and glued upwards….do tell!! I need a step-by-step, apparently. (!) Thanks. Hi, It took a bit of trial and error to get fabric on neatly. I’m going to send you a step-by-step to the email address on your comment. Please let me know that you got it and do let me know if you have more questions after getting it. Thanks so much! 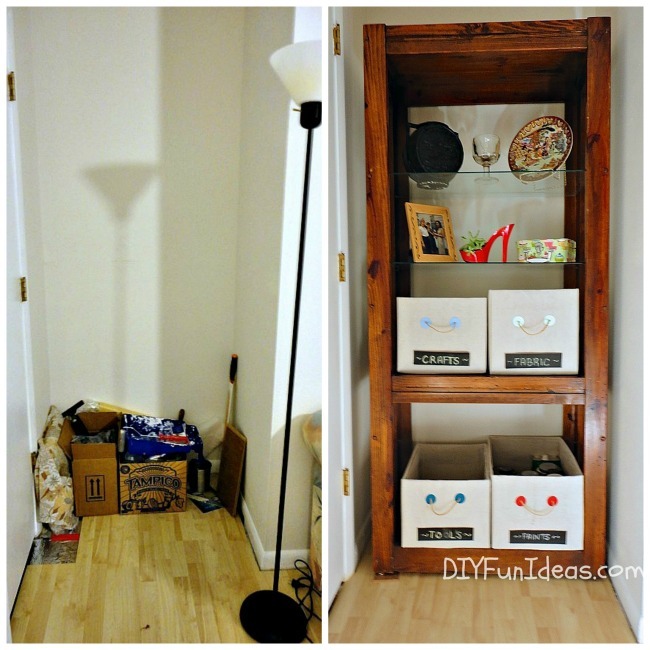 I think this is a wonderful idea, I know I always have plenty of cardboard boxes. Thanks Jane. Yes, it’s a great way to recycle/upcycle those boxes. Very nice ! I love those. Thanks for linking to the Monday party! Thank you so much Isabelle. And thank you for hosting!! Love, love, love! These are so cute! Thanks for sharing with us at Your Designs This Time! Thank you so much Emily & Erin. And thank you for hosting! Oh my goodness Kathryn, I’m totally thrilled!! 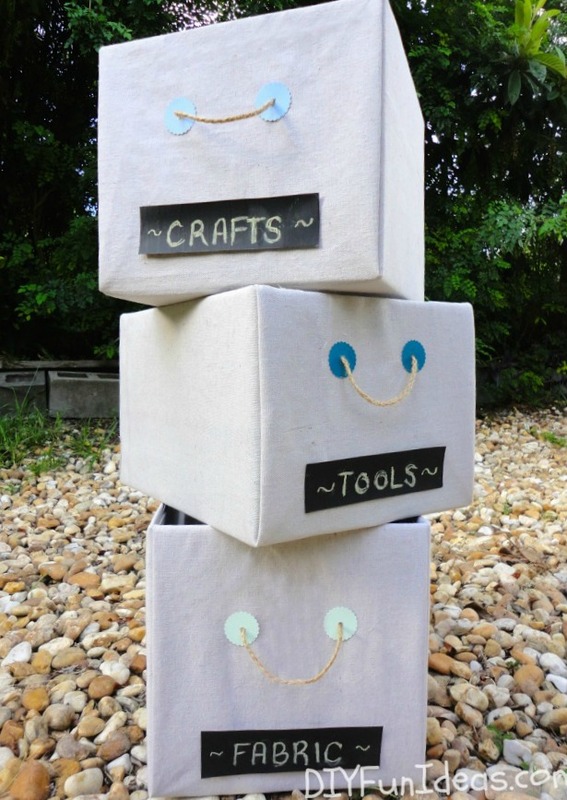 Thank you so much for featuring my DIY storage boxes! I’m really honored. Can’t wait to stop by!!! Fabulous idea! You have inspired me to do this! Thanks for sharing. Yay Robin! Nothing makes me happier than to hear just that!!! Let me know how they turn out! 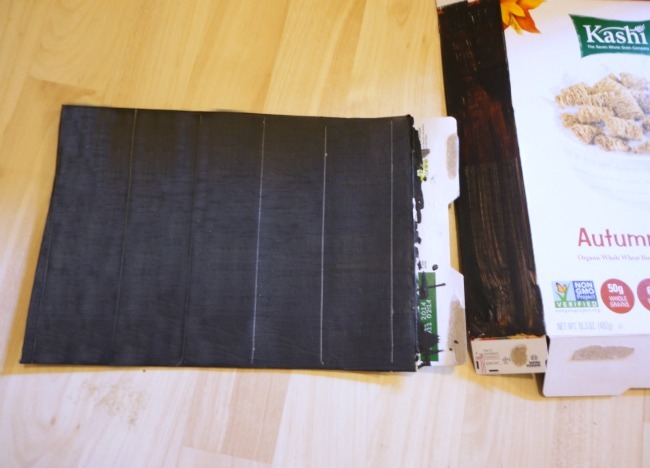 So idk if anyone asked this but what is the easiest way to glue the fabric to the cardboard to get the desired shape of a box? What I did was I started with a giant square of the fabric and sat the box on top of it. I folded the right and left side up over the lip and glued them down. So now you have two opposite sides attached and two opposite sides loose. On the loose sides, you’ll have excess fabric hanging off the sides. Fold that fabric in then lift those sides straight up over lip and glue down. Does that make sense? 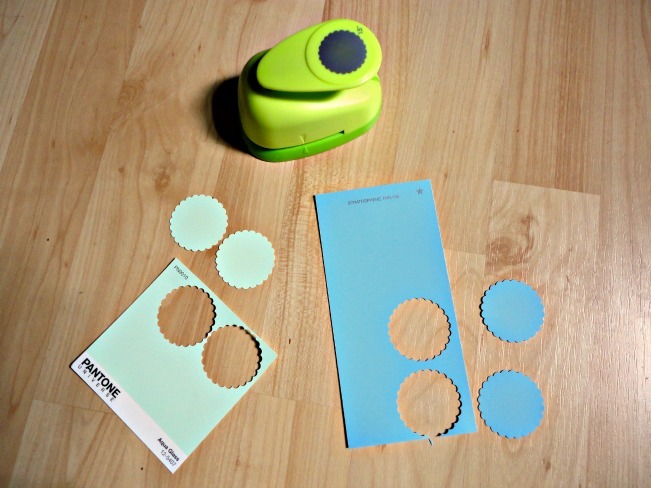 Thank you for featuring this DIY! Thanks for sharing. You have inspired me a lot. Looking forward to seeing many ideas!